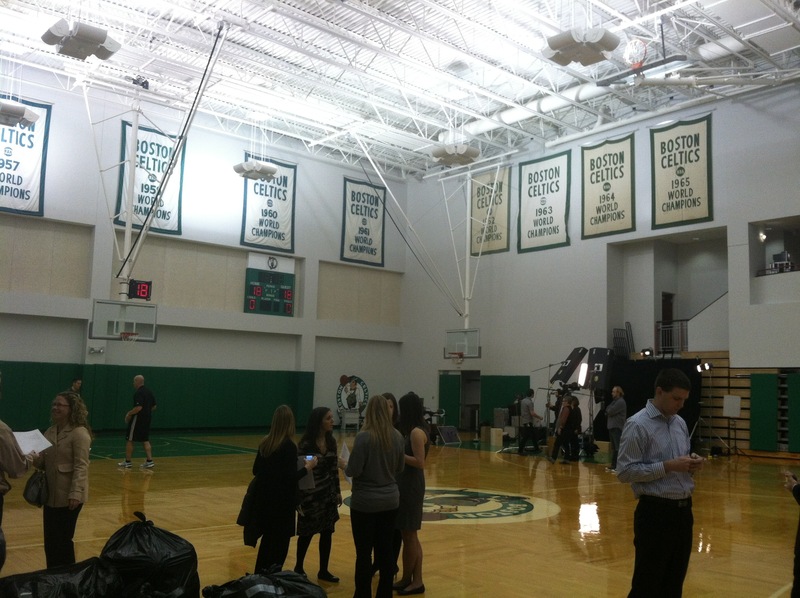 If you didn’t catch it on Twitter this morning, I was lucky enough to be at the Waltham practice facility today for Celtics Media Day. For the most part, it’s exactly what it sounds like. Players come out sporting their team’s gear and are introduced to a number of media outlets. 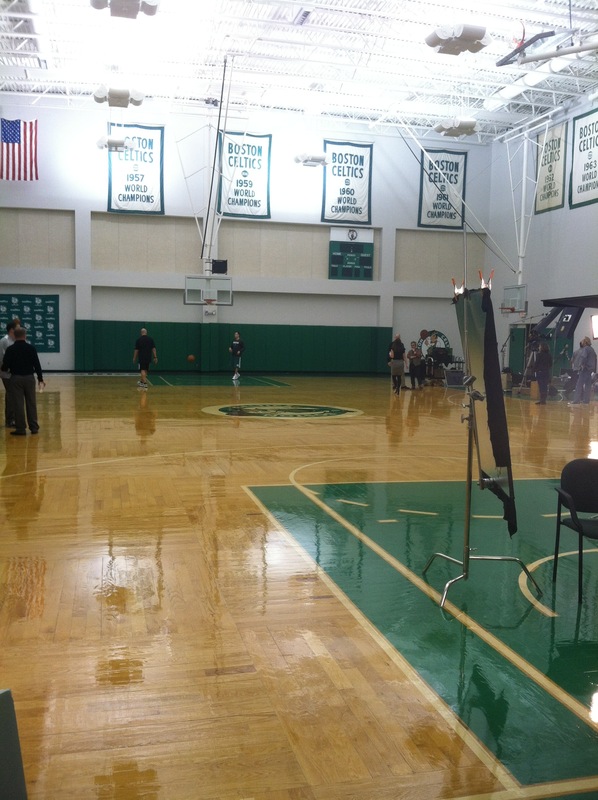 But after seeing and hearing all the Celtics players today, I feel pretty good about going into the season. All the big names were amped up to be back on the court, especially KG. They displayed a collected, confident presence about the team and an eager mindset to get the new guys settled in. The rookies were excited to start their careers on such a historic team, alongside several future hall of famers. Even Jeff Green was feeling good about things, as he was spotted taking shots prior to the event’s start. His message was simple: Don’t listen to the rumors. Keyon Dooling, a new face to the organization, expressed his excitement of becoming a Celtic, despite the 5 other teams he has been a part of. He even laughed off the incident he had with Ray while he was still on the Sonics. Overall a very friendly, funny guy. With some lingering doubt heading into the season prior to media day, spirits were high in Waltham today. I left the facility feeling much better than I have in the past few days. The boys are back in green and eager to put banner 18 up into the rafters. Good news all around for Boston Celtics fans! This entry was posted in Celtics and tagged allen, Bass, celtics, kg, media day, pierce, rondo by jtulz07. Bookmark the permalink.